for a more thorough look check my video on why the Luftwaffe Failed in World War 2. In order to understand the logistics of the German Air Force (Luftwaffe) in World War 2, we must take a look at the rearmament process, the military control of the industry, the attitude towards logistics and the dominance of the operational-tactical approach. The German re-armament focused on a fast build-up of arms and equipment. To achieve this many different models were produced by a wide range of companies. Yet, such an approach increases the cost of maintenance and supply due to the wide range of different vehicles and weapons. This problem becomes apparent, if you look at the numbers in 1943: the US Army Air Force has 18 types of aircraft, whereas Germany had 50. This problem was prevalent in other areas too, like the armament of planes. Take the B-17, it had one type of defensive gun, the 0.50 cal machine gun, whereas the He-111-H6 had three different types [SHOW 7.92 mm, 13mm and 20mm]. Nearly every German plane usually had a combination of at least two different types of guns throughout the war, whereas the US Forces usually used only one type of gun at all. This problem was to a certain degree due to the control of the arms industry by the Luftwaffe. 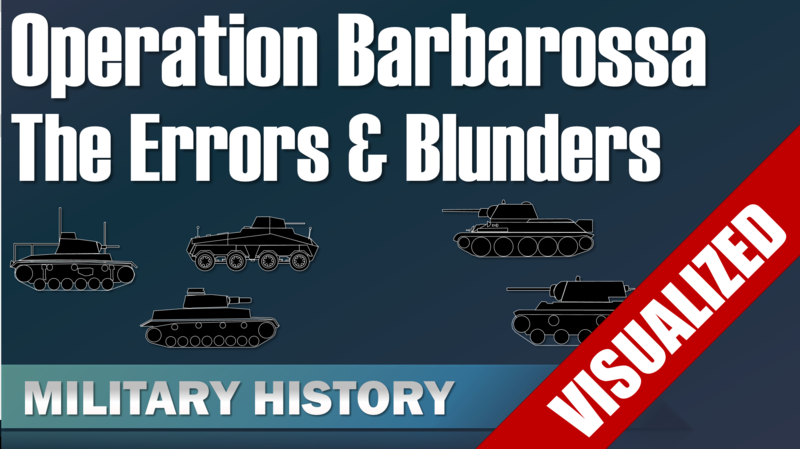 Until 1944 as the only branch of the German Armed Forces, it controlled its own industry. Which was in contrast to the United States, where the industry delivered the units most suited for mass production to the military. Now, these circumstances were already problematic, but although German engineering is usually highly regarded throughout the world. The relationship of the military and engineering was “complicated” at best. Many officers had a lack of technical understanding and were fine with it, some were even blatantly ignorant. Technology for them and thus the engineers were basically “meager”/mere servants. This is divide between military and engineering is well illustrated by the debate about special insignias for technical officers. It was assumed that a technical officer would be perceived as less valuable by normal officers. The attitude of the military towards technological and logistical matters manifested itself in the overall doctrine and principles. For instance, the primacy of the operational-tactical thinking was codified in the directive for the quartermaster. It clearly states that the supply chain management acts as a servant to the operational and tactical command. This is again in contrast to the Allies, in the RAF War Manual on operations, it is stated that every operational commander had to be aware of the supply/logistical situation. Yet, there is nothing similar in the German directive. 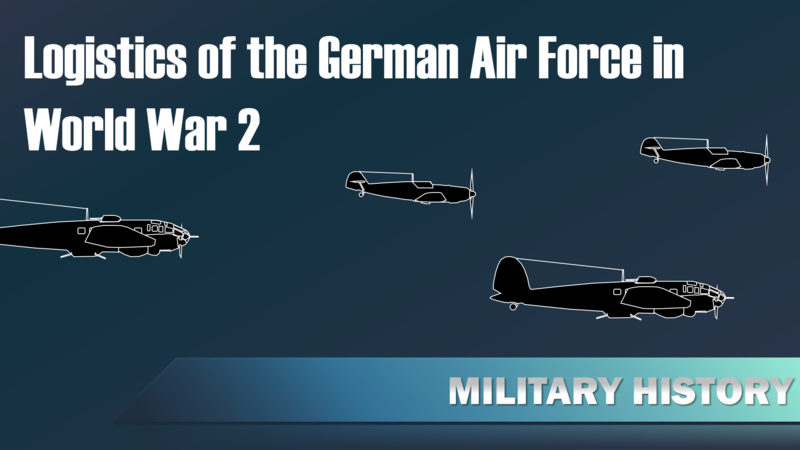 To conclude, the German Air Force was well suited for small and short wars with its operational (and military) focus, but the fast buildup and military dominance in industrial matters lead to a logistical nightmare as the war prolonged and turned into a war of attrition. Whereas other air forces usually adapted their logistical approach, the German Air Force command was reluctant due to disregard for anything outside of the operational and tactical realm. Thus, to a certain degree the Luftwaffe resembled very well the so called “Knights of the Skies”, yet in a time when the outcome of a war was mostly determined by “mere servants”. Boog, Horst: Luftwaffe und Logistik im Zweiten Weltkrieg; in: Vorträge zur Militärgeschichte 7: Die Bedeutung der Logistik für die militärische Führung von der Antike bis in die neueste Zeit. Alexander the Great started in 334 BC his series of conquests that would last for ten years. He successfully invaded and conquered the First Persian Empire. In 326 BC he invaded India, but eventually had to stop the campaign, because his troops wouldn’t carry on. In 323 BC he died in Babylon at the age of 33. As you can clearly see the territory covered is even quite extensive for any modern army. The question arises how even a small army could be properly supplied in such a vast area. Which brings us to the question of military logistics. Now, logistics is a modern term, but many logistical operations were also performed in Alexander’s time. Let’s take a look at a simple and a bit modified definition of military logistics. Military logistics is the provision of all means to perform military operations. To put it simply, logistics concerns everything from the fuel for your tank, to the food for your stomach and the guy, who cleans the shitter. Or in a more sophisticated way: Military logistics deals with the determination of demand, requisition and distribution, of men, material, facilities and services. Note that the common definitions of modern military logistics (usually) wouldn’t include recruitment. But due to Alexanders extensive campaigns and different organizational structure, recruitment is included in our definition. Initially Alexander fielded around 30000 infantry and 5000 cavalry. These troops consisted mainly of Macedonians and allies. Yet, around 5000 men were mercenaries. Recruitment in Macedon was limited, there are only two accounts of it. One about 3000 infantry and another one about 6000 infantry and 500 cavalry. This recruitment was problematic, because it is known that the recruitment unit had to use force in order to complete their operations. The main source for reinforcements were Mercenaries. Although the initial financial situation only allowed a minimum amount of mercenaries. After capturing the Persian camp and baggage-wagons at Issus, Alexander had a large quantity of gold and silver at his disposal. There is only limited information available about the recruitment in the conquered Persian territories. One account describes a force of around 30.000 men that were trained and equipped similar to the Macedonians. These troops weren’t ready until Alexanders return from India, thus they never saw any combat. In the first years of his campaign Alexander had to transfer reinforcements on the land route, because he disbanded his fleet due to financial problems. This changed in 332 after large parts of the Persian fleet joined Alexander. In general, the reinforcements were transported by sea and marched to the destination on the Persian Royal Roads. Alexander also took over the Persian communication network to coordinate the reinforcements with his main army. There is only one known account when the reinforcements arrived earlier than the main force. Overall, Alexander’s reinforcements had to cover vast distances to reach his army. The longest distance covered was by a Thracian unit that transferred from the Balkans to India. It should be noted that these long marches had several benefits. The served as a show of force in the newly conquered regions and also provided security operations along the way. Now every army needs to be supplied with materiel. This part is limited in comparison to modern times. It is important to note that the Macedonian soldiers, the allied soldiers and the mercenaries had to bring their own weapons and armor. But due to the extensive distances and duration of Alexander’s campaign this wasn’t always feasible. There is an account of the delivery of around 25 000 pieces of armor to India. We know from the siege of Tyros that some craftsmen were ordered from Cyprus and Phoenicia. The lumber was from Mount Lebanon and delivered to Sidon where the construction took place. Finally, the equipment was transported with ships to Tyros. Which brings us to the next part the construction and transportation of ships. Ships and pontoon bridges were used to traverse large rivers and streams. It was important that those ships could be disassembled into smaller parts in order to transport them to the next river. For instance after crossing the Indus, the ships were disassembled into several parts and then transported to the River Hydaspes. Now, comes the part that most of us have at least virtual experience with, the transportation of loot. Loot and its transportation was important for several reasons. Now, Soldiers had to take care of their own loot, which could result in over-encumbrance. So, basically Alexander’s soldiers faced the same problem modern gamers face in Skyrim or Fallout. According to the ancient Greek historian Plutarch when Alexander reached the mountains of India, he realized his army was too slow. Thus, Alexander burned his baggage-wagons, those of his companions to set an example and finally gave orders to burn those of his soldiers too, which resulted not solved the problem of over-encumbrance but also raised the morale of most soldiers. Yet, the more important part is about the major spoils of war. Large amounts of silver and gold had to be transported to mints in order to finance Alexander’s campaign and his Empire. In order to properly haul these precious metals, a large amount of mules and camels was necessary, according to some sources around 10.000 mules and 5000 camels for the larger convoys. Additionally, several thousand troops were used to provide sufficient security. Early on those transports were sent back to Macedon, but Alexander established several mints along his conquest. Most facilities Alexander took over from the Persian Empire, mainly the bureaucracy, the excellent Royal Road system, the good courier service and a network of signal beacons. These facilities were crucial in Alexander’s campaign, because they allowed him to efficiently coordinate reinforcements, loot and his Empire. Alexander also established new facilities, mainly the founding of new cities and the construction of mints. The first and most notable city founded was Alexandria. Many more cities followed, especially in the eastern regions. These founding’s may appear as basic efforts of colonization with economic and cultural motivations, but their main aim was to ensure the military dominance in the regions. Furthermore, they were used to settle wounded and incapacitated soldiers. Additionally, fortresses and other fortifications were built. Alexander also established several mints in the conquered territories, e.g., in Asia Minor, Cyprus, Phoenicia, Alexandria and Babylon. The three main services were the provisioning of food, medical service and recreation. The primary concern was of course the provisioning of food. Alexander was well aware of this fact, and probably for this reason he chose his routes mainly along food sources. Sometimes this lead to some extensive detours, e.g., when crossing through Mesopotamia. Also Alexander put his most able commanders in charge of foraging operations. If possible he organized the construction of supply depots along his marches. Nevertheless, sometimes a lack of supplies couldn’t be avoided. Little is known about the medical services in Alexander’s army. We can assume that there was something like a medical corps due to the sources mentioning the transport of medicine to India. Another indication is that ancient historians made a clear distinction between dead and wounded soldiers in their records. Recreation was done mostly in the form of festivals with contests in athletics and horse racing accompanied with music and other forms of entertainment. 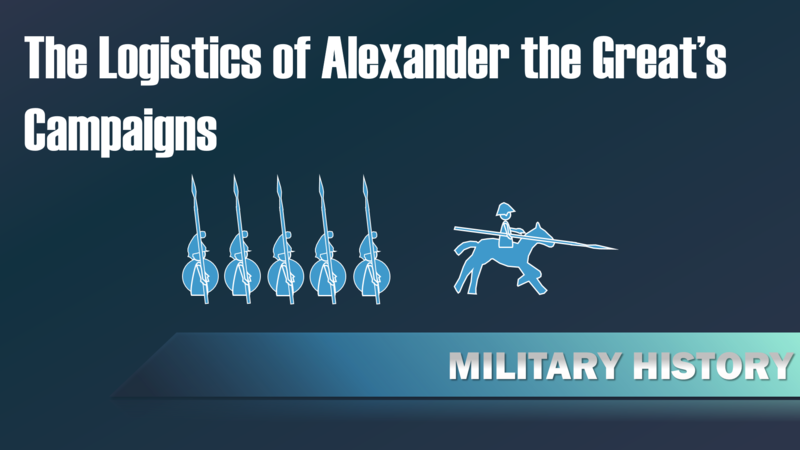 Alexander the Great is well known for his tactics, but we can assume that his capabilities concerning military logistics were also fundamental for his success on the battlefield. In this case my sources were mostly German, but from what I have seen these books are also about this topic, although I didn’t use the English book. Seibert, Jakob: Die Logistik der Feldzüge Alexanders des Großen; in: Vorträge zur Militärgeschichte: Die Bedeutung der Logisitik für die militärische Führung von der Antike bis in die neueste Zeit. (Militärgeschichtliches Forschungsamt (MGFA)).